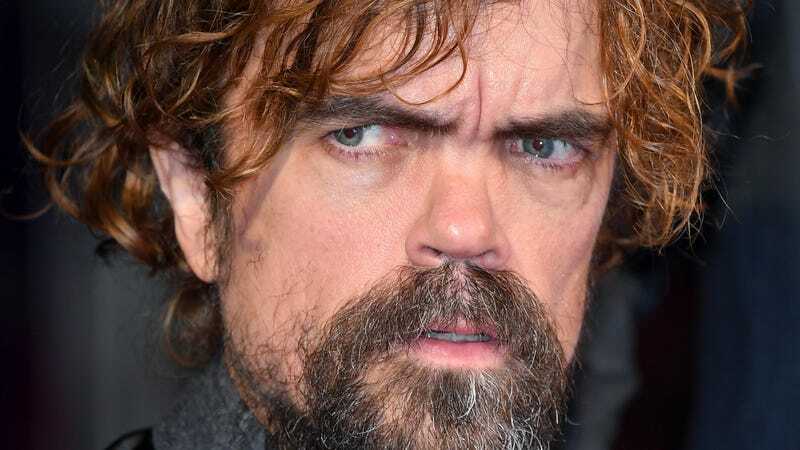 It looks like Peter Dinklage may not be quite ready to put away all those medieval-esque outfits he gets to wear on Game Of Thrones. According to Variety, the actor has signed on to produce and star in a big-screen retelling of the Brothers Grimm fable Rumpelstiltskin. It’s still early in the development process, meaning it won’t be his first post-GoT project, but Sony has hired writers Patrick Ness and Karen Rosenfelt to pen the screenplay. It’s reported that “plot details are being kept under wraps,” but we’re going to go ahead and engage in some wholly baseless speculation that it might involve a miller lying to a king about how his daughter can spin straw into gold, and when said king imprisons the daughter to force her to do so by morning, a mysterious man appears and offers to make it happen in exchange for her necklace (and worse). But really, who knows? Ness has had some success in adapting written stories for the big screen, having recently reworked his own novels Chaos Walking and A Monster Calls into screenplays. No word on a start date for the production, but executives are doubtless hoping Ness can do some spinning-dross-into-gold of his own.